Awesome pics Kris......I love the one with both of you!! Love the pics. I wish I had done them with my pregnancies. The one of mamma and daddy is priceless. You are an amazing woman! Can't wait to see these two OUT so you can get a few minutes rest! Incredible pictures. Can't wait to hear the good news! Stunning pics! 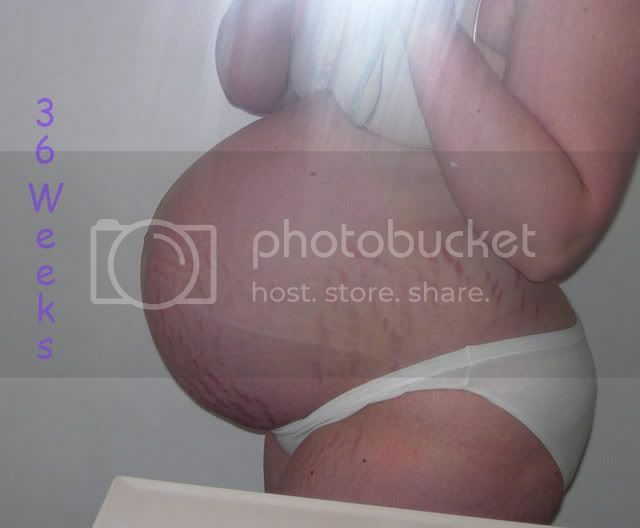 I've had 2 c-sections, the cut that healed best was the one stitched and not stapled with butterfly tape in between. If you can ask about that option, I think you'd be a whole lot happier with the end results. Wow! That's an awesome belly!!! You look so happy, I can't believe only 7 more days to go!!! I'm so excited for you!